CANFIELD, Ohio — For 11 years, Kim Lisowski has operated Stage Left Dance Academy here and raised her family of five here. One thing she always said she wanted was more activity and businesses near her dance studio on 23 Lisbon St. Finally, she said, the city is pushing forward to bring growth to its village green. “The mayor is finally matching what many of us have wanted — a vibrant green. I’m very excited,” Lisowski said. Mayor Richard Duffett met Friday with 27 business owners at City Hall to discuss their desires for increasing activity at the green for families and the community. The business owners had a chance to get to know each other and share ideas with the mayor and council members. Duffett spoke about tightening up the zoning enforcement in areas that need a better appearance. The city’s engineer, MS Consultants, has taken an active role in the city’s plans for improvement. Ideas mentioned include a band for entertainment on Friday nights and a food truck with a variety of options so that families can walk around the green and have dinner while enjoying live music, which Lisowski said is “a great idea.” A restaurant for the “after five” crowd and a café with coffee and lunch options would also be good, business leaders said. Family nights took place every Wednesday in September, where local police were present with games to entertain families. On Oct. 20, the city is hosting a fall festival. “Being part of a community is what dance is all about and this will give us more opportunities to be together,” Lisowski said. She and her dancers at Stage Left are the lead off for the annual Canfield Christmas parade. This year’s event will be held Dec. 7 . James Danko, an agent for State Farm in Canfield, said that more retail business, boutique shops and coffee shops would be great additions because families can easily walk there. “I was here today to see exactly what the city leadership has plans for. It’s exciting to see so many positive things happening for the green. It’s always been a great city, but now it’s getting even better,” Danko said. One major update to Canfield will be the rebuild of the McDonald’s on state Route 224. The original building closed because following a small fire. Tom Locke, owner and operator of the new McDonald’s, says the location and new building have “good potential.” Jennifer Short, director of operations, and Dave Gnatowski, who owns the franchise, also attended the meeting. 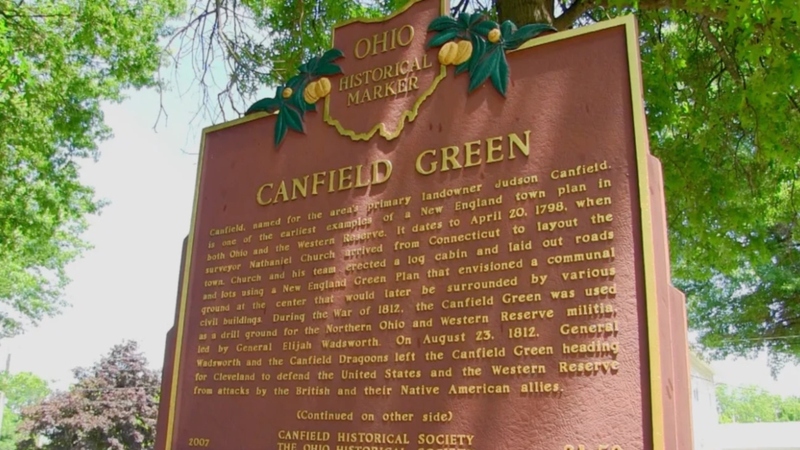 “It will be awesome for Canfield,” added Gnatowski. Other business owners on hand included Chris Pendelton, owner of Peaberry’s Café and Bakery, Bruce Neff, owner of LED3 and member of council, and a representative of Frank Amedia who owns FJA Developers Inc., developer of the Millennial Moments mixed use project. Duffett said that he expects these changes to happen slowly, but he and his team are charging forward to help move the process along. “There’s different tools that we’re learning, which we can apply to help move along the city. We’re going to tap into that so we can use some of that money to do some different things downtown,” the mayor said.